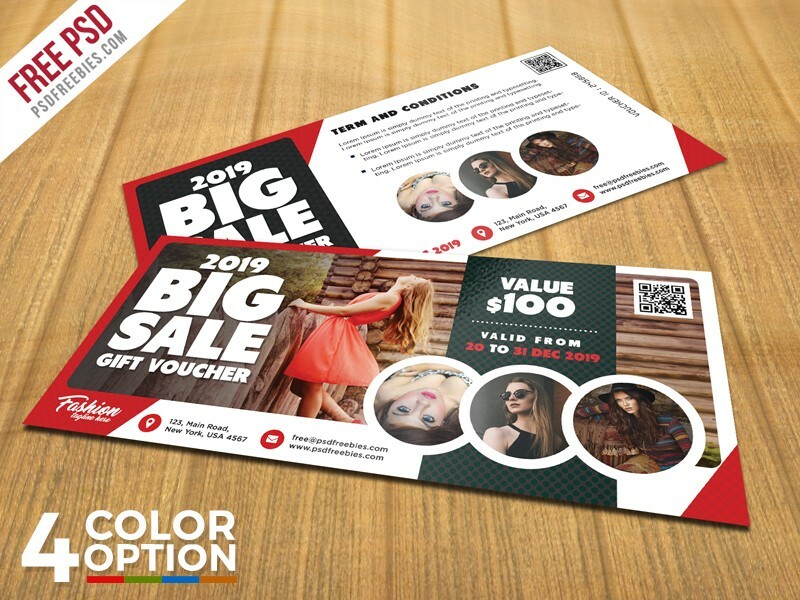 Download Free Sale Voucher PSD Template. This Sale Voucher Template PSD is best for promoting your upcoming seasonal sale and offers. It is also perfect for any business, product or services like fashion store, apparel sale, cosmetics, boutique, food restaurant etc. The Free Sale Voucher Template PSD is designed using adobe Photoshop and it contain 4 different color options to choose from. This voucher template psd comes in 300 dpi print-ready CMYK 8 PSD files (4 Front and 4 Back side) and layers are fully organized and structured so that you can easily customise and edit the layers quickly. Hope you like this Free Sale Voucher Template PSD. Enjoy!